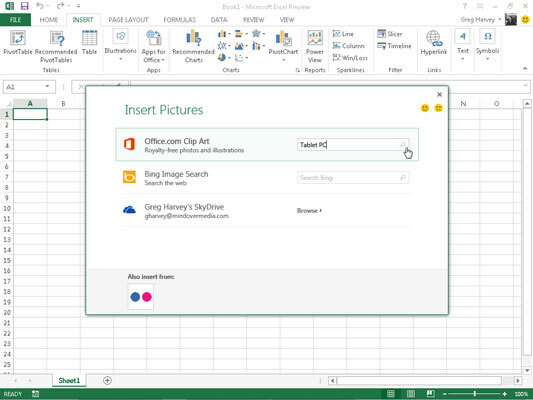 Excel 2013 makes it easy to insert online graphic images into your worksheet. The new Insert Pictures dialog box enables you to search Office.com for clip art images to insert as well as to use Microsoft’s Bing search engine to search the entire web for images to use. If that’s not enough, you can also download images that you’ve saved in the cloud on your Windows Live SkyDrive.